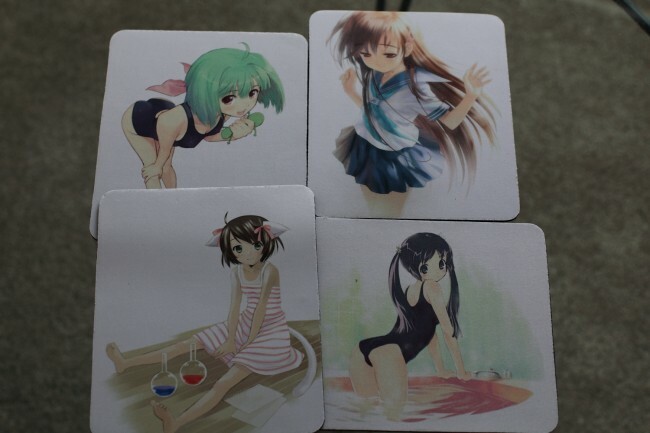 So I decided to order some new custom mouse pads :). Headed over to my image site, e-shuushuu.net, and picked out some of my fav illustrations. I use the website www.icustomdesign.com to order my mouse pads. 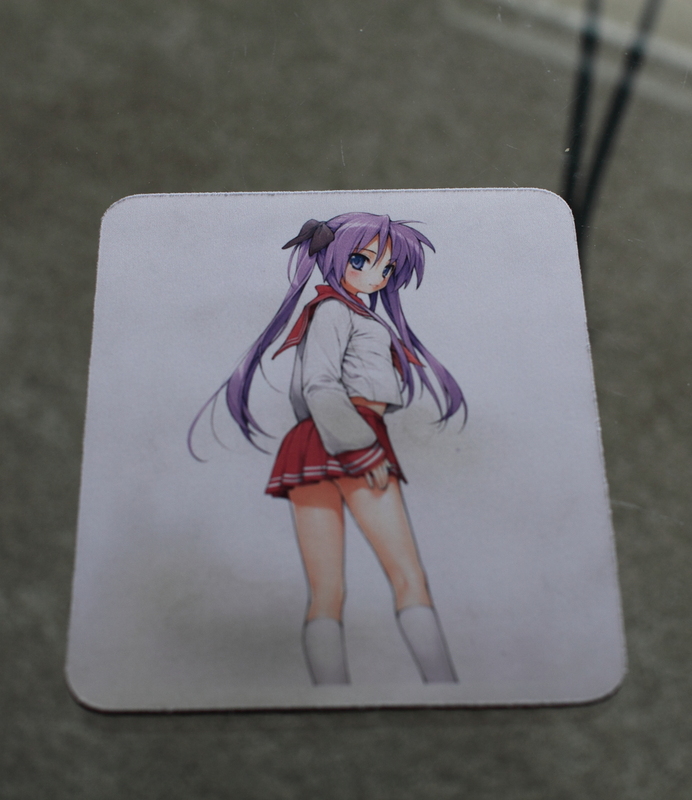 You can upload your own images and, using their tool, re-size and align them to fit on a mouse pad. Then you can add it to your cart and they will print your custom mouse pad! Don’t use a mousepad though, only a gel wristpad. Though I do have and use a Razer eXactMat for gaming (which isn’t often). .-= Smithy´s last blog ..Baka to Test to Shoukanjuu =-. .-= mefloraine´s last blog ..Tatetsu Teto / 舘津テト =-. .-= Optic´s last blog ..Music Monday ~ CHEMISTRY – Period =-. Nice new mouse pads! c: Very cute! I really enjoy your blog, adding you to my blog roll! Ah, they don’t ship to Europe? I didn’t check that. My laser mouse is a bit wonky on some surface… even plain white paper, which is quite strange. I should get some mouse pad as well to address this, and rest the wrist. .-= Merun´s last blog ..Artist focus: Let’s make character CG with Shimeko =-. Really? My laser mouse works on just about any surface. In fact, I can hover it in the air a few millimeters from the surface and it will still track ^^. These are really cute! ^^ Reminds me of custom dakimakura. How’s the quality on them? I know it isn’t the subject, but I have a website using the same template as you and I get troubles with my comments displaying. is there a setting i’m lacking? Thanks.